Repair and strengthen your teeth. 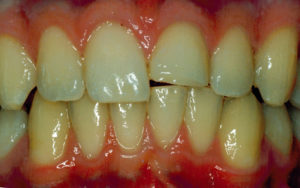 Composite bonding is one of the most conservative, versatile and affordable ways to cover discoloration, close gaps, repair chips or breaks or replace a small amount of tooth structure. In many instances it’s the modern replacement for old black fillings many of us received as children. 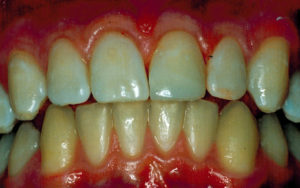 Through the bonding technique these white composite restorations actually strengthen the remaining tooth structure unlike mercury amalgam which often causes teeth to break. What our patients are saying about us. This is the most efficient and professional dental office I have ever visited in my 68 years. While the service is pricey, they have their own facilities to make crowns on site and mine was ready and in place within 3 hours of my arrival. The procedure was virtually painless and Dr. Nick was quite the perfectionist. Kari, his assistant was equally determined to do an amazing job. Don't even think twice, Just try it. This takes customer service a whole new level. They even served me an espresso while I waited. Just the best. – John P.
I always enjoy my visits to the dentist. My appointments are always on time and I'm always extremely pleased with my cleaning, exam, and my dentist's recommendations. I look forward to my next visit. – James M.
Thank You, Nick for the beautiful, easy and PAINLESS IMPLANTS! – Deven E.
I was traveling away from the Desert on a business trip. Lost part of a tooth resulting in tremendous pain. Called Dr. Baumann's office from N.C. for an appointment on the next day. Even though I was not an existing patient they made an appointment for me for the next morning. They were very very caring and welcomed me warmly even though I was not an existing patient. I think i have found my oral care solution in the desert. - John T.
I have been going to Drs.Baumann and Baumann for years. I find my experience with them is great. Everyone there is very friendly and very nice. If anyone is looking for a good dentist I highly recommend Drs.Baumann and Baumann. - Shirley W.
Arrived from the east and realized had an emergency due to cracked cap. They got me in fast, finished procedure on time and all with smiles, no pain and friendly! Thanks so much!!!! – Gil S.
I just returned from two visits to Dr. Baumann's office. Both were excellent. Michelle, the hygienist, did a super cleaning of my teeth. She was very professional and cordial in her approach. Dr. Bruce Baumann was consulted regarding a toothache and immediately was able to pinpoint the problem. The work he did was professional, precise, technical, and exact. He stated he never likes to do a job "halfway" or do a "patch-up". He appeared to want perfection and I believe that is what he did in my dental procedures. Likewise he was very approachable, kind, and even humorous. I thus far am extremely pleased with my dental procedure with Dr. Baumann. I recommend him for excellent professional service. - Phyllis S.
As usual, high quality, efficient, comprehensive, professional and personal. Appointment consistent with scheduled time. Experience positive since I've used them as my dentist. – Seymour M.
I've only been with Dr. Baumann for about one year but during that time I have experienced the best dental treatment that I have had in many years. Top-level personnel and Dr. Baumann takes a special interest and makes sure you understand what is about to happen in your procedure. – John F.
Dr. Bruce and Dr. Nic give the highest level of attention to my dental care. I trust them and would not consider another dentist. Their support staff is the best. If you are reading this look no further. Take my experience as a recommendation and call Lupe today to schedule an appointment. - Claudia R.
I have had complete restorative and cosmetic procedures done by Dr. Baumann. It was a life changer. I have been going to his practice for several years now. I trust Dr. Baumann and would recommend you do too. – David N.
While I have only had two visits personally to the offices Palm Desert Smiles operated by Dr. Bruce Baumann and his son Dr. Nicholas Baumann, I love this group. I moved to Palm Springs in October of 2014 and had been searching for a good dentist then one night I saw a news feature on dentistry and Dr. Nick Baumann was the go to dentist in the piece. I contacted the station to get his information and checked out their website, it was just what I was looking for. A dentist office that was utilizing the tools of the 21st century and not afraid to try new things. I am lucky to come to Dr. Nick Baumann with a good set of teeth and am sure that no matter what happens down the road I will be well cared for at the dentist office. The staff is caring, helpful, and so friendly it just puts you at ease when you sit down in the exam chair. - Edward G.